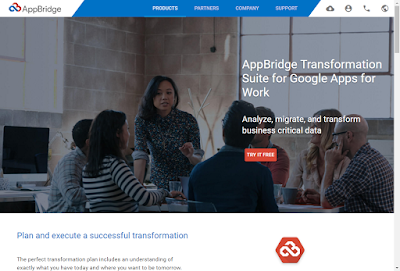 AppBridge Blog: New AppBridge Website! We're pleased to announce that we've launched our redesigned website. In keeping with our laser focus on Google Apps, our sleek new design is inspired by the Google Material design specification. Check it out at www.appbridge.io!